A slight increase shows coal rebounding from 2012. Carbon dioxide emissions from energy activities in the U.S. in 2013 are expected to be up 2 percent over 2012, according to the U.S. Energy Information Administration. The slight increase is still just a projection as EIA awaits final year-end data, but the higher figure is attributed to an increase in coal consumption by electric utilities. Natural gas has been challenging coal’s dominance in recent years as an electric power fuel, but with higher gas prices, coal regained some of its lost ground in 2013. 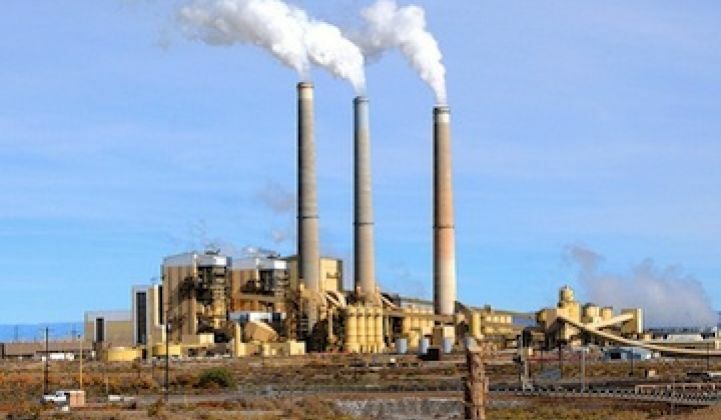 The gains by coal are likely short-lived, as many older coal-fired power plants are slated to be retired in anticipation of the EPA’s new mercury and air toxic standards (MATS) rule and the cross-state air pollution rule. Black & Veatch has estimated that nearly 60 gigawatts of coal will retire by 2020. Some of the coal generation is being replaced by natural gas, but transmission upgrades, renewable energy and energy efficiency are also playing a role in offsetting lower power production from coal. 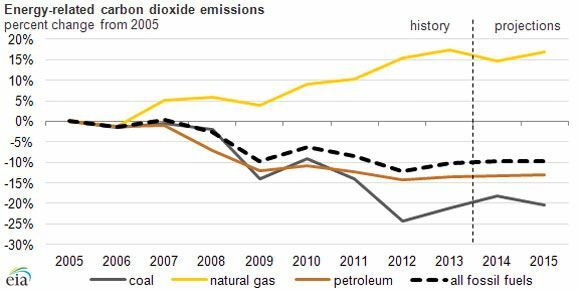 Although the EIA projections indicate a small increase in the short term, 2013 emissions levels are still approximately 10 percent below 2005 levels. The reduction is expected to continue overall in coming years. On Monday, the Regional Greenhouse Gas Initiative announced a significant slash to its CO2 cap for 2014, 45 percent lower than the current cap. Northeast and Mid-Atlantic states that participate in the market-based program will then see the cap decline another 2.5 percent each year from 2015 through 2020. Natural gas prices are the main short-term driver influencing coal generation levels, but in some regions of the U.S., renewables are not just a sideshow. Some analysts are already seeing wind not only becoming cost-competitive with coal in the Midwest, but even being potentially cheaper than new gas generators.